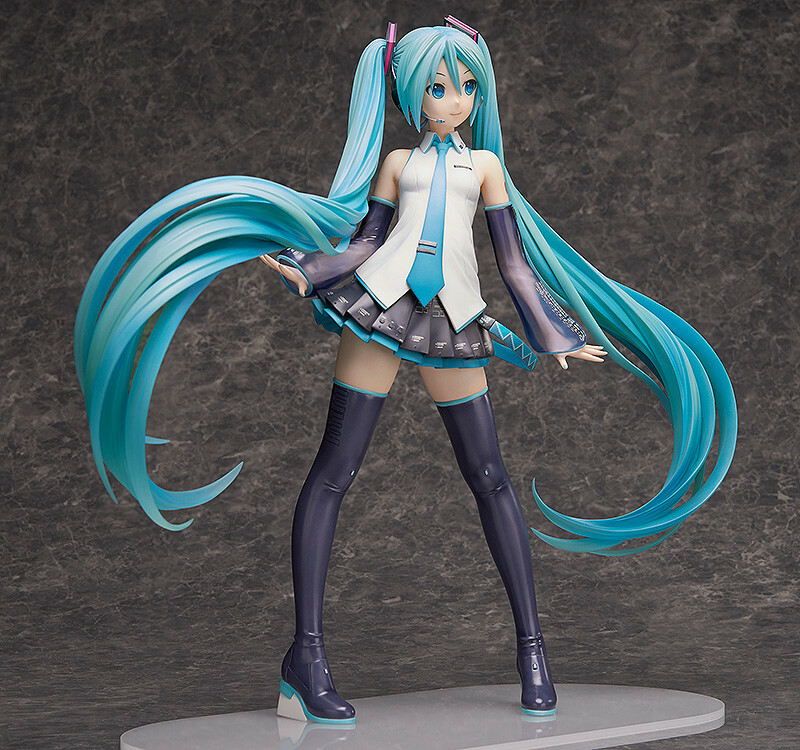 A 1/4th scale figure of Hatsune Miku, standing an incredible 42cm in height! 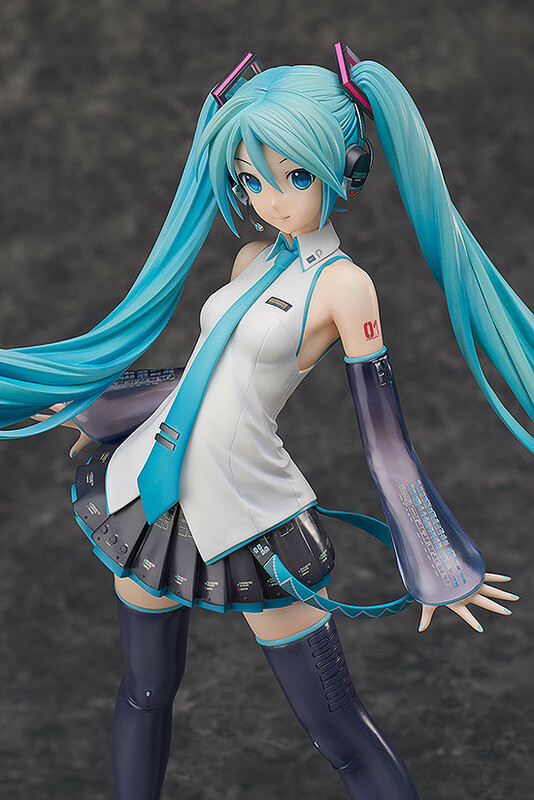 The Hatsune Miku V3 key visual illustration by iXima has been sculpted into a massive 1/4th scale figure, which stands an impressive 42cm in height. 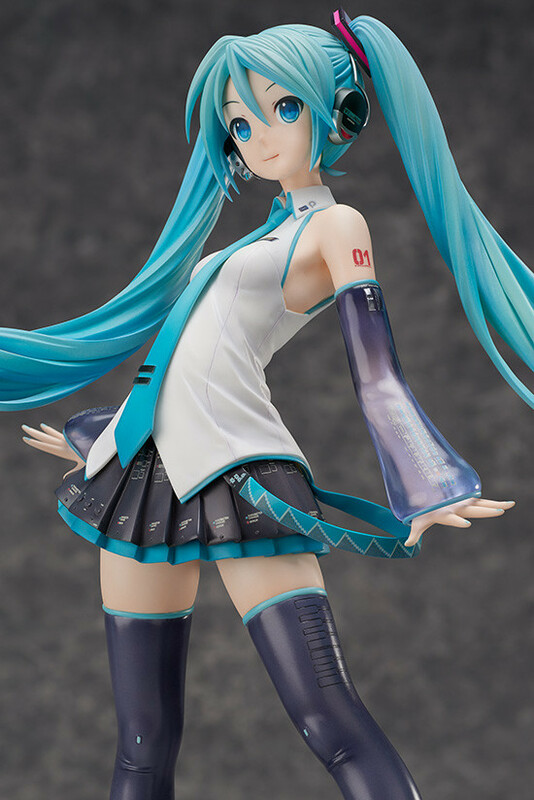 The twintails winding around her body have been sculpted with the utmost detail, with incredible care also given to the intricacies of her outfit - bringing out a level of realism and detail that can only be achieved through such a large scale figure. 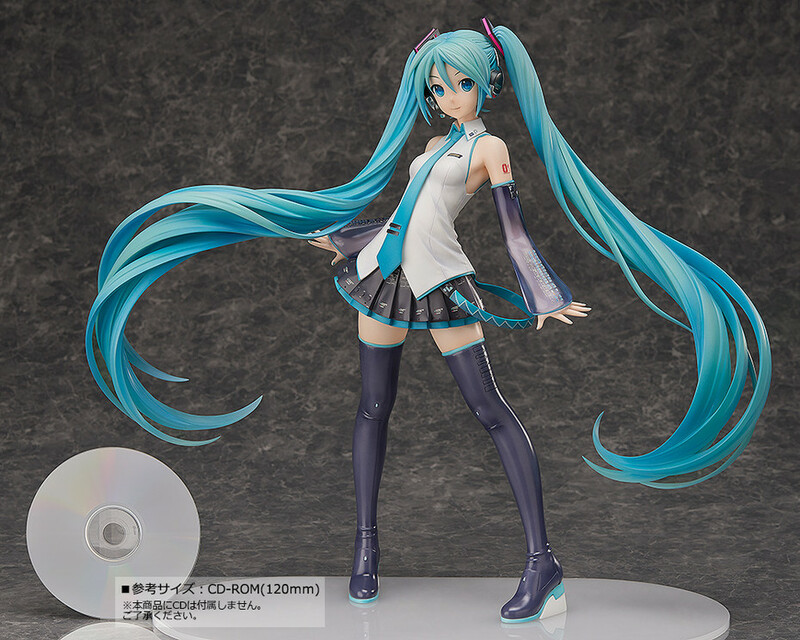 This is the work of art that Miku fans have been waiting for - a Miku figure that, both literally and figuratively, stands above the rest! Painted 1/4th scale PVC figure with stand included. Approximately 420mm in height! 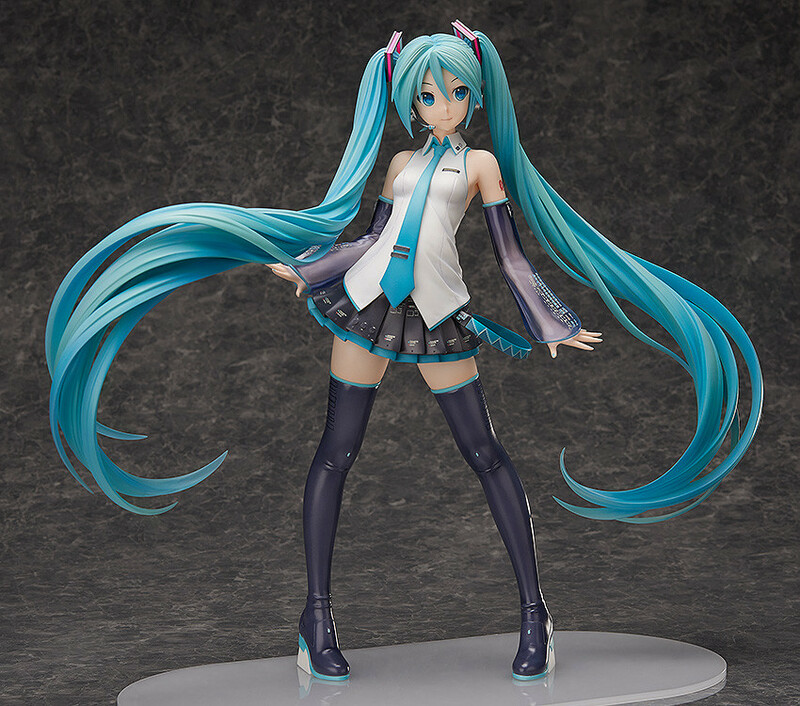 Preorders will be open from 9th March 2015 (Mon) from 12:00JST until 15th April 2015 (Wed) at 21:00JST.